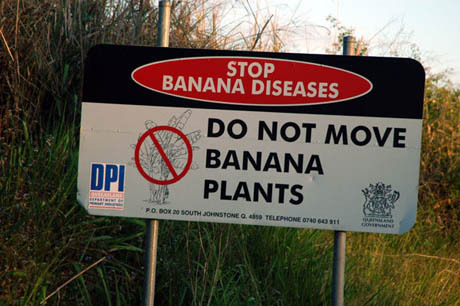 IMAGE: “Do Not Move Banana Plants” signs are a common roadside sight in Queensland, Australia. Plant movement restrictions are enforced to stop the spread of plant pests and diseases, the export of rare or endangered species, and the import of non-native, potentially invasive species. Image courtesy Brian J. McMorrow. A fascinating recent article in the New York Times managed to combine three of my favourite plant-related ideas (seed banks, the control of invasive species, and climate change as unpredictable landscape redesign engine) and then add a fourth that was new to me: assisted migration. These seeds are then carefully documented, assessed, cleaned, and packaged before being consigned to the Dixon National Tallgrass Prairie Seed Bank in Chicago Botanic Garden’s brand new Rice Science Center, a “giant humidity-controlled freezer stabilized at minus 4 degrees Farenheit.” Depending on the species, seeds can be preserved there for at least a couple of decades, and sometimes for thousands of years. 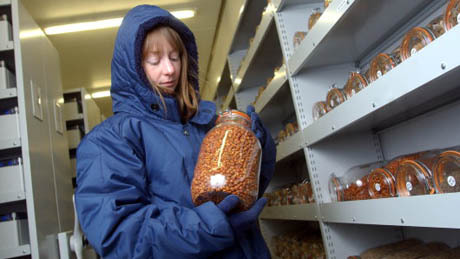 IMAGE: Seeds being placed in cold storage at the Royal Botanic Garden Kew’s Millennium Seed Bank, courtesy RGB Kew. The idea is that this is really a seed bank, not a seed morgue. Just like a bank, researchers not only deposit but withdraw seeds. About half the seeds are used for prairie restoration, and other seeds are used for research. 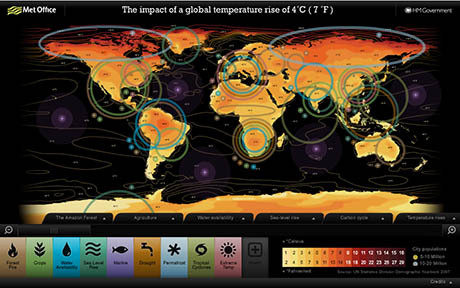 IMAGE: Map showing the impact of a 4ºC (7ºF) rise in the global average temperature, produced by the Met Office’s Hadley Centre. For the full size interactive version, click here. 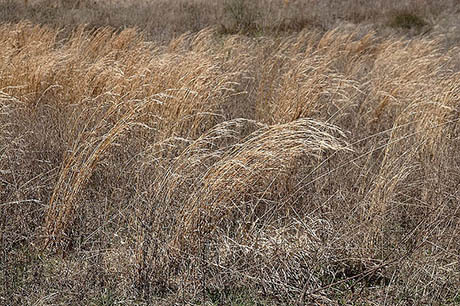 IMAGE: Prairie Grass, Rock Springs Nature Center, Illinois. Photo by Robert Lawton, found via Wikimedia. Each garden contains genetically identical clones of plants grown from seed collected in four hardiness zones (4, 5, 6 and 7). Three sites are in the Chicago area, with the others in Boston; Chapel Hill, N.C.; Seattle; and Washington. Students and volunteers will collect data on the species, and can compare their gardens with others through a webcam system. As Nijhuis points out, the implications of assisted migration directly contravene “the traditional conservation notion – call it an illusion, if you like – of a place to get back to.” For most people, the limits of landscape preservation stop at restoration – well short of wholesale redesign. 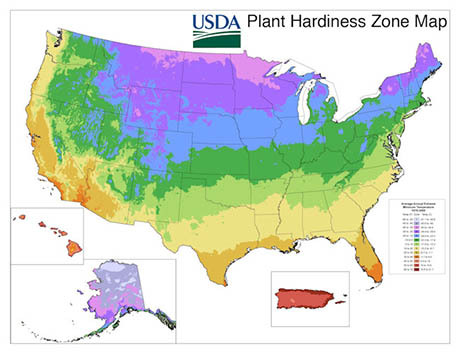 IMAGE: The USDA Plant Hardiness Zone Map (USDA Miscellaneous Publication No. 1475, Issued January 1990), published online by the U.S. National Arboretum. For the full size interactive version, click here. The ambitions of Dr. Vitt and her colleagues don’t stop at relocating the prairie landscape, however. Their co-authored paper, “Assisted migration of plants: Changes in latitudes, changes in attitudes,” calls for globally agreed seed-banking and future-habitat-matching protocols. 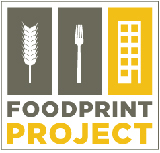 With a vision that rivals the space mirrors and artificial clouds of geo-engineering for sheer speculative wonder, Dr. Havens, Dr. Vitt, and their colleagues propose that plant conservationists around the world should be working as all-inclusive real estate agents, hunting down the next home for their clients before helping them pack up and move in. The very concept of a globally coordinated effort to re-arrange the biosphere to match future landscapes is both terrifying and awe-inspiring – a sort of ecological Rubix Cube with the added complexity of soil, habitat, and climate variables. Meanwhile, just as in human home-buying, a break in the chain could lead to disaster: what happens if the Florida mangroves are planning to move to the Chesapeake Bay, but the Chesapeake Bay’s new home in the Long Island Sound is still occupied by its original ecosystem? Thanks, Rob. I hadn’t see the Tree Atlas – great link. I really enjoyed your post about native and invasive species, and the idea of seeding species that need to move along existing lines of disturbance. 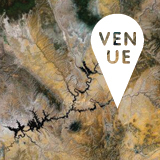 Fantastic post, Nicola — have you seen the Forest Service’s Climate Change Tree Atlas? It’s not presented beautifully, but the idea and data are both fascinating. At least ten years ago when I was looking for native landscaping plants a botanist suggested that I should be considering plants from a somewhat warmer zone in order to provide refugia for species that might find it difficult to migrate north where high density development blocked their routes as here on the east coast. Either she was ahead of her time or botanists have been aware of the problem for a long time.